"We have [heretofore] based our strategy on the implied assumption of opposition at Westminster"
I'll pick up on just one theme. The author - one Gordon Lishman - is subtly seeking to make space for the possibility of a Lab-Lib Coalition at some future date. This is clever (and all of a piece with the tactics we identified during the post-election negotiations - remember ?). We need to establish a broader understanding, already shared by the overwhelming majority of the democratic world outside England, that different coalitions can be a useful and effective form of politics"
"How does the Party help its members to counter the effects of [media] scrutiny?" Have a read, if you like this sort of thing. Deck chairs on the Titanic, Nick. 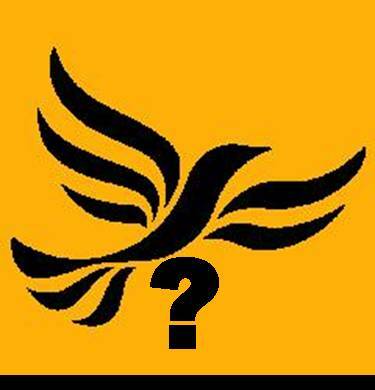 Nick Clegg has to be the leftiest lefty ever to have got so close to the levers of power. It's a frightening thought.